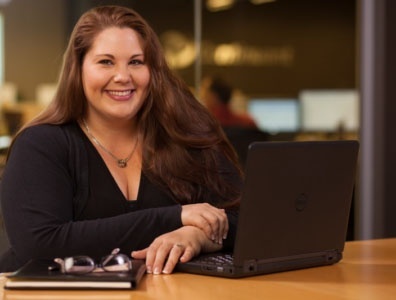 As a Customer Experience Manager, delivering exemplary customer service is more than “just a job” for Amanda Davenport; it is a passion that has helped set Continuant apart from other business communications service providers. Previously, Amanda served as a Service Delivery Lead supporting several Named Account Managers (NAMs) to manage the service delivery of Continuant’s Nortel customers, including the Service Desks’ ability to meet and exceed service level objectives and handling the escalation of outages when necessary. She was also a Named Account Manager – a single point of contact for customers–making it possible for customers to gain quick access to comprehensive support. She oversaw a team of professionals who completed day-to-day support for customers, and Amanda was a critical player in keeping the lines of communication open between Continuant and her customers. “We’re always striving to offer our customers the best possible experience, whether we are solving a complicated technical issue or simply helping a customer understand a new system,” says Amanda. Since joining the company in 2011, Amanda has become known for her creative “outside-the-box” approach to problem-solving and for her dedication to getting to know the business environments and drivers for all of her customers. Amanda thrives on mastering the ever-changing world of technology and enjoys the opportunity to further her expertise in a role where she is able to apply her passions through her daily work. Customer support is nothing new to Amanda. Prior to joining Continuant, she worked for a nationwide social marketing company, helping provide more accessible and robust support for a large call center. She also built a Customer Experience team at a Seattle startup that specialized in performance appraisal software. A Tacoma, Washington, native, Amanda attended Gonzaga University in Spokane, where she earned B.A. degrees in French and International Studies. She’s also an avid Seattle sports fan.